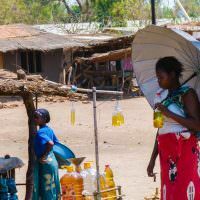 We were planning to first go to Zanzibar Island and then head up to Kenya, but after looking at the weather forecast on the coast we decided to switch our plans to avoid the heavy rainfall on our would be beach holiday. 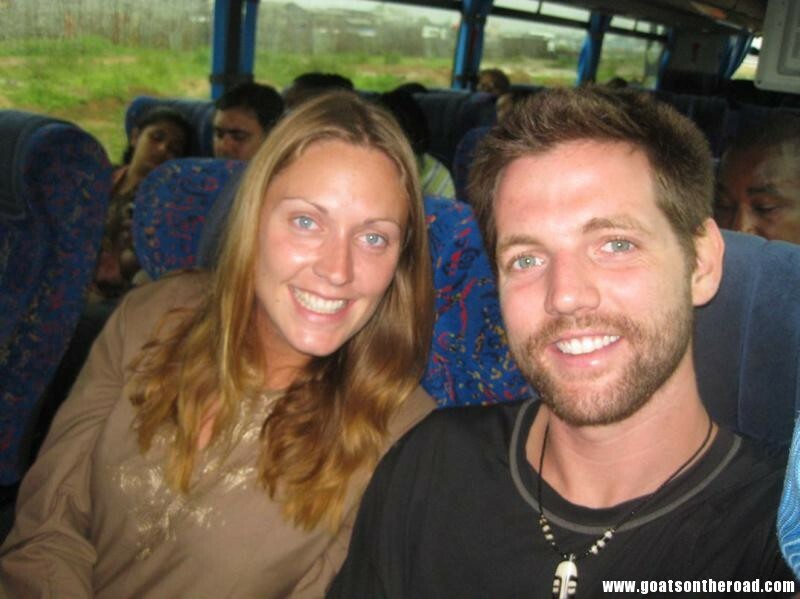 We booked the safari for a week sooner and headed to Mombasa, Kenya on an 11 hour bus ride. This time there was no A/C but we were just happy that nobody was sitting on our laps. 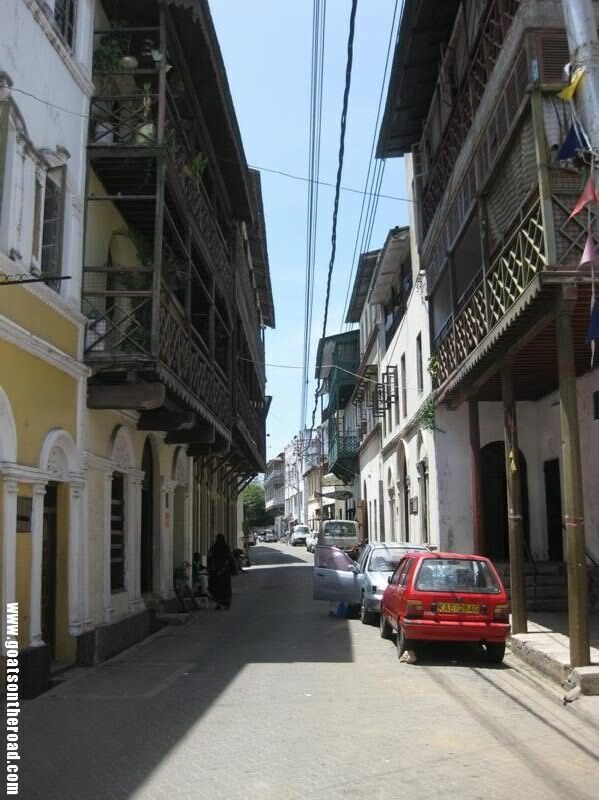 Mombasa is not just your typical dusty African town. It has some good food, energetic vibe, and a charming old town in its core. 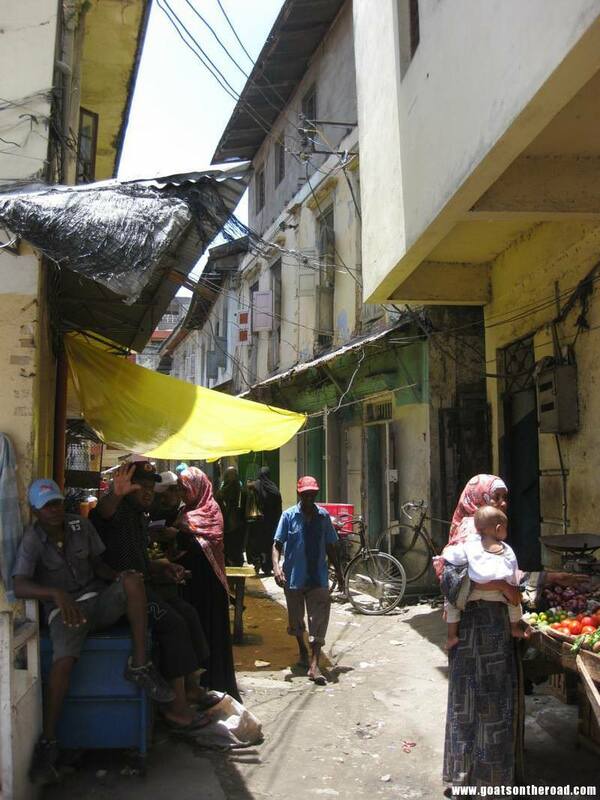 The heat was beginning to be oppressive but the time spent in the narrow stone alleyways provided a much needed retreat from the scorching sun. We did a little shopping in the curio shops of the old town. The carvings in Kenya were better and more detailed than we had seen in a while so we picked up a couple of things. 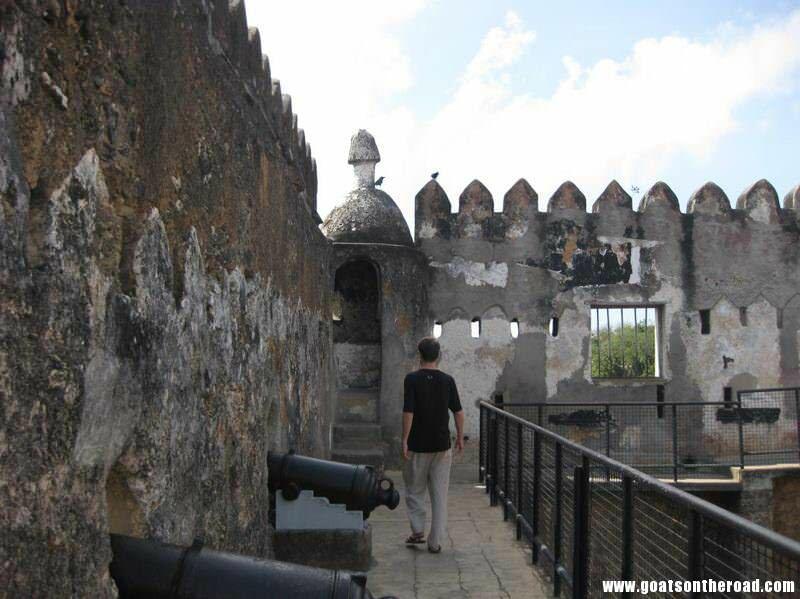 We also checked out Fort Jesus which was built in 1593 by the Portuguese to enforce their rule over the Swahilis living on the coast. It was built on a rocky hill right on the water so it had nice views out to the Indian Ocean. Most of the fort was built out of coral which gave its walls a rigid porous texture that was immediately noticeable and very unique. After 2 very enjoyable nights in Mombasa, we headed up the coast to Malindi. We were reluctant to head North in Kenya given the current instability which we couldn’t avoid hearing about on the news. 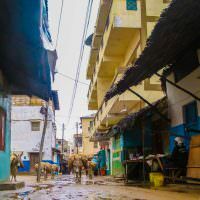 Two British tourists were kidnapped by Somali pirates and an elderly French woman was also taken from her home on Manda Island in the Lamu Archipelago. 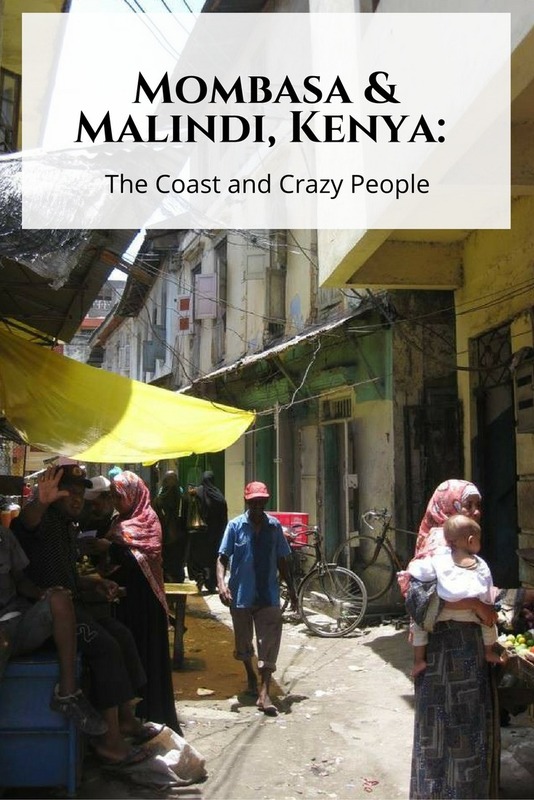 Malindi was still far from those islands so we felt completely safe, but we were planning to head to Lamu so we were constantly checking the news and trying to decide whether or not to go. 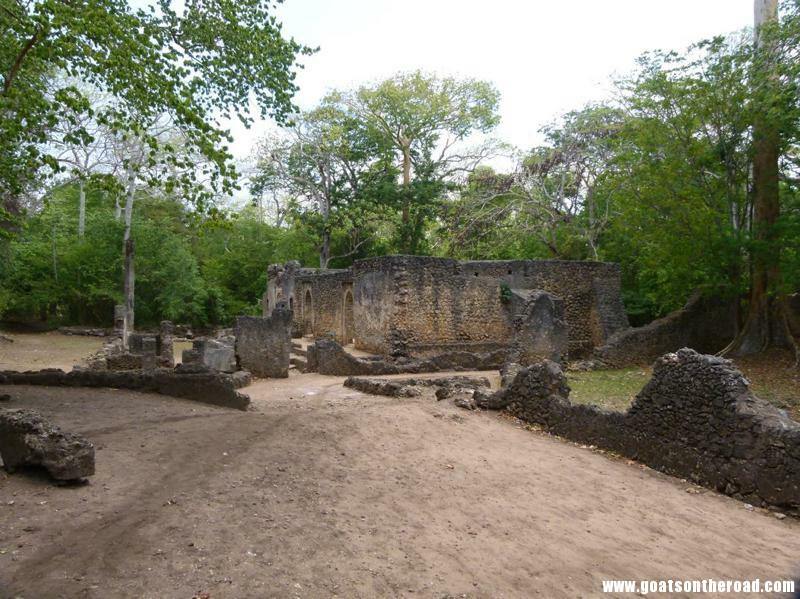 On a day trip from Malindi we headed to the Gede Ruins. 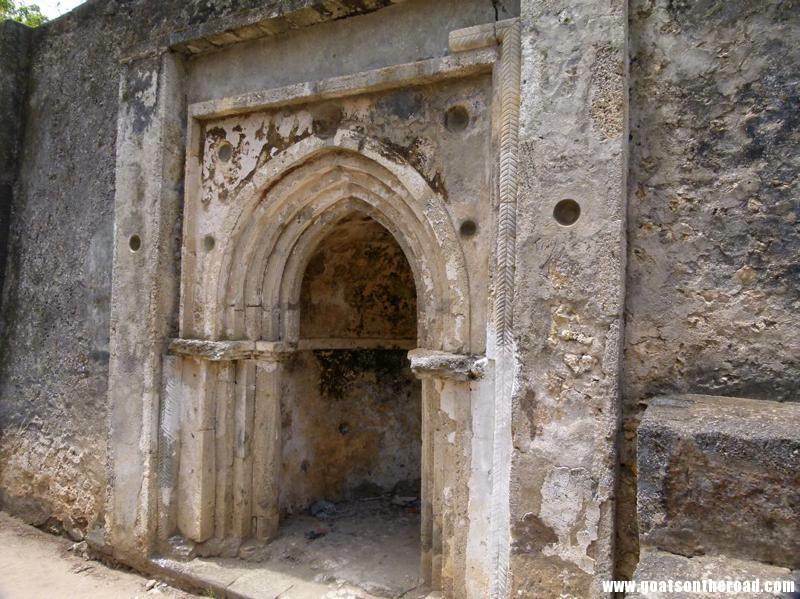 A 600 year old crumbling village consisting of mosques, houses and palaces made from coral and stone. 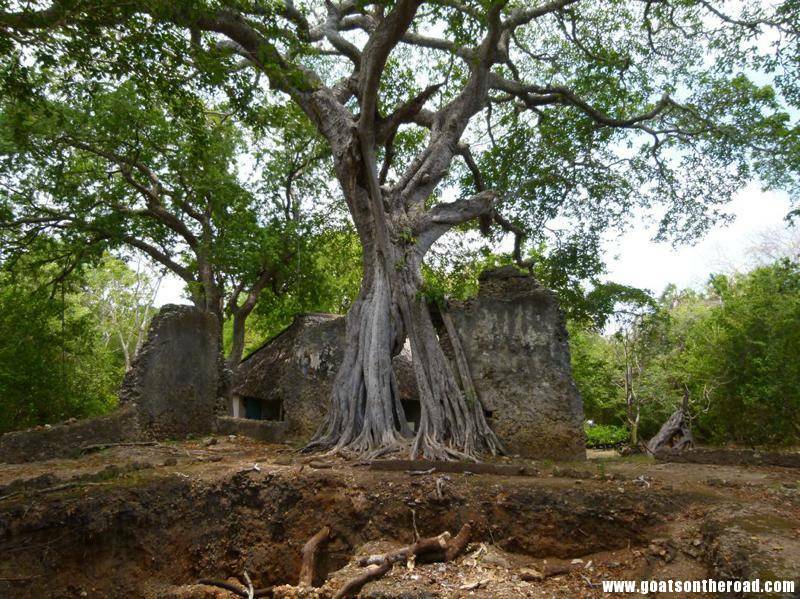 Gede is a very mysterious and interesting place. 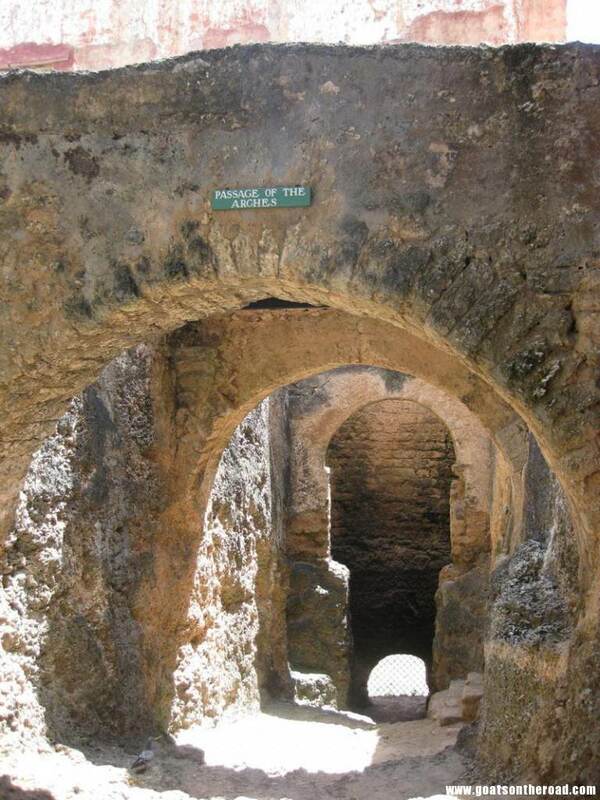 There are no records of this city’s existence in any historical texts and it wasn’t discovered until 1920. We hired a guide and she walked us around explaining the different towers and rooms which brought the crumbled palace to life. 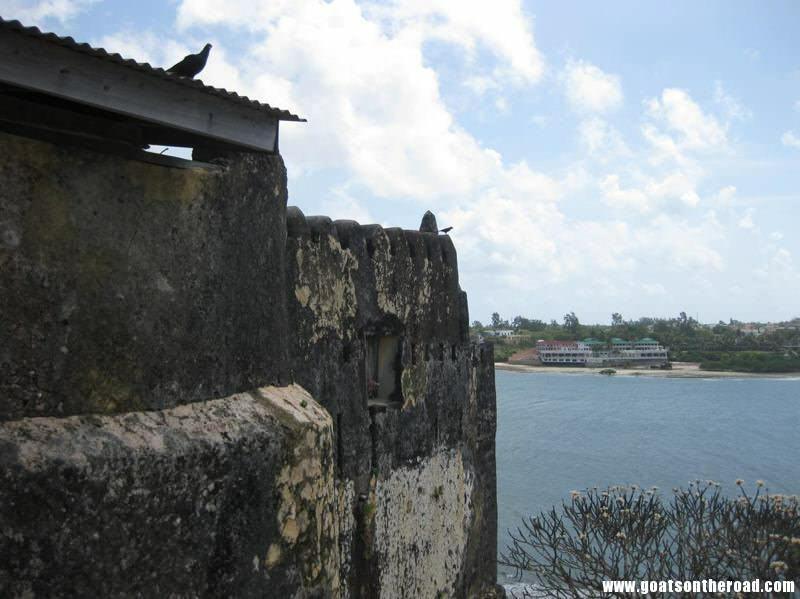 After much debate, we decided to head up to Lamu Archipelago and to Lamu Island. The kidnappings were on a neighbouring island and the waters were supposedly being surveilled 24 hours / day by police helicopters and coast guard boats. We were watching the news and talking to people and eventually decided that it was safe. The next day while we were waiting for our bus it started pouring rain. We sat on the curb and waited and waited. The bus was already an hour late when I walked over and asked where it was. The bus station explained it would be here soon, pretty typical for buses to be late in Africa. I sat back down on the curb next to Dariece with my eyes trained on the road, waiting for the bus to come and rescue us from the rain. Suddenly a figure appeared inches from my face and as I looked up I realised it was a shirtless man holding a knife! From that second I was on auto pilot and didn’t even realise what I was doing. I yelled and stood up in his face and as I did, he took off down the street. I suddenly found myself, unarmed, chasing a knife wielding maniac down the streets of Kenya. When I snapped out of it and realised how foolish my actions were, I stopped and caught my breath and walked back to Dariece who hadn’t even seen the knife. Some local guys next to us explained that the man is a “crazy man” but didn’t seem too phased about the whole situation. I reamed them out for just sitting there and laughing and when I sat down the gravity of what happened set in. I was happy that Dariece was okay and that the homeless, drug addict ran away. It could have been a lot worse. The bus showed up an hour and a half late and we started the hellish 8 hour journey to Lamu Island. The road was like a washboard of tiny bumps and divots, only occasionally interrupted by huge potholes. A pretty tough ride even by African standards. The whole way we were both thinking “Lamu better be good”. Great blog! We’re heading to Africa in the spring and can’t wait! Thanks guys! Have a great time in Africa…it’s am amazing place. This is an awesome website, you guys are an inspiration! I´m planning on doing some backpacking with my girlfriend in africa this summer. we haven´t quite decided where to start though. 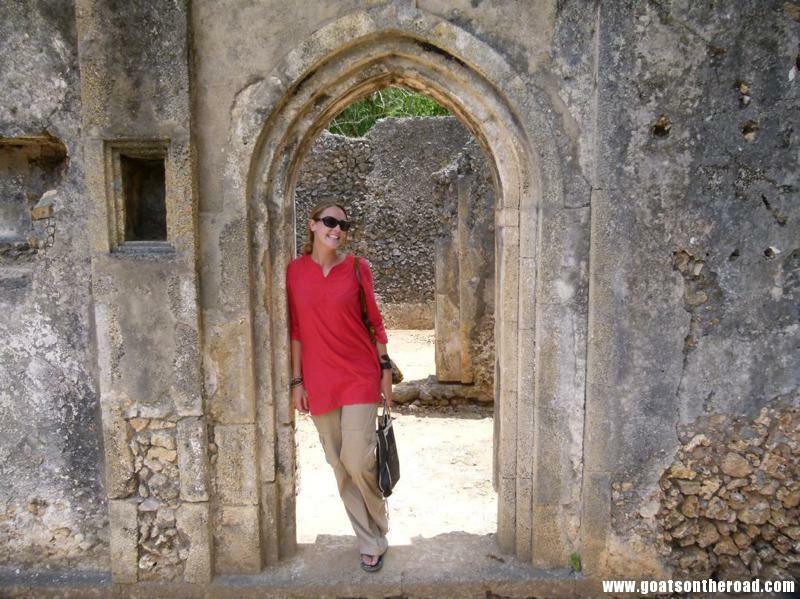 it´s between Chefchaouen, morocco, and Malindi. We`re both big on wild life and nature, but i want to experience some true culture. To be quite honest i don`t know enough to decide where the best place to go would be. Some advice from someone like you guys would be priceless! I’m sorry for the delayed reply, somehow your comment got missed! Morocco and Kenya may be on the same continent, but they are two completely different countries. Morocco is easy to travel through, famous cuisine, ancient sites/medinas, muslim faith, Arabic, French & Spanish languages, the list goes on. 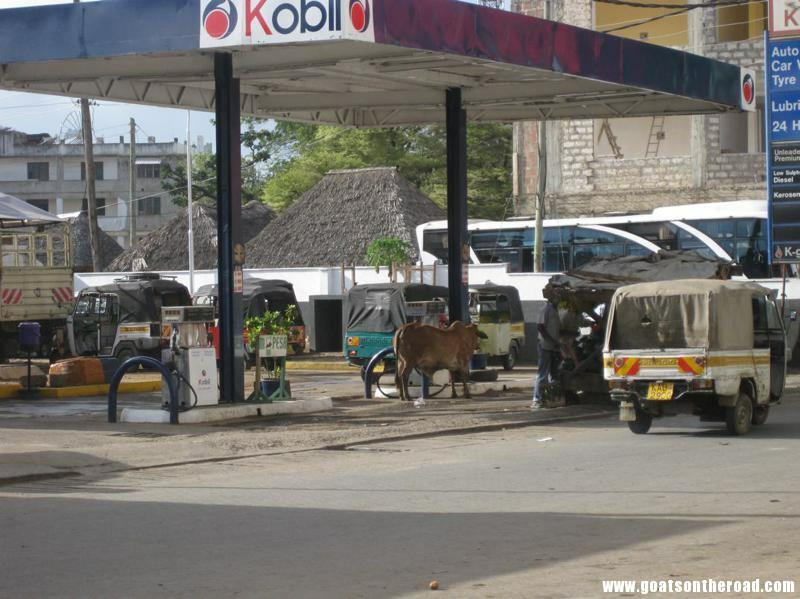 Kenya is harder to travel through independently, but still doable. Not known for their cuisines, have beautiful national parks and wildlife, African people, Swahili language…the list goes on. There are way too many differences between the two countries for me to even begin to list them all. I’d suggest doing some more research online or getting a guidebook and having a read.